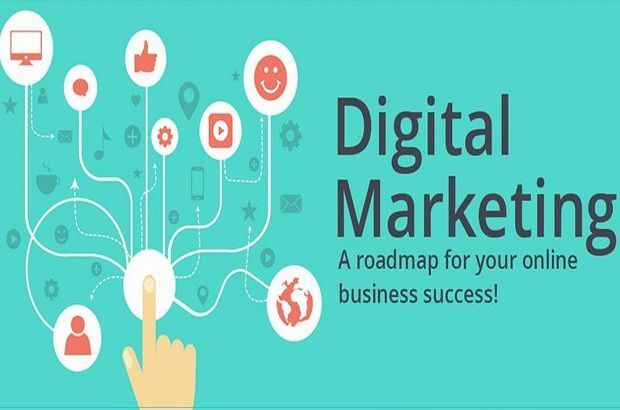 Digital marketing is the application of general principles in marketing through the use of technological tools, especially the Internet, which is also the tactics and strategies that are used to transform the virtual market into a tangible market, so as to reach the client by e-mail, Mobile phones, instant messaging, social networking sites, search engines ... etc. I think you already know what digital marketing means? Do you know that it is a mandatory subject for those who want to do business online? Although this concept is very common in the digital world online, many people who work through the Internet do not yet know the concept well. In this article, we will discuss this particular subject. Next, we will analyze the characteristics of all communications channels that can be used to implement digital marketing techniques such as website, blog, networking, email marketing, advertising and much more. We will also address some very important concepts, such as Conversion Rate Optimization (CRO) Search Engine Marketing (SEM), or Search Engine Optimization (SEO), and finally you will see how effective strategies can be ensured Production and marketing of your products. After reading it, you will understand the differences and advantages inherent in digital marketing compared to traditional marketing. Follow us on this important post about digital marketing, and become a specialist in this area. To begin by understanding the inherent differences between traditional marketing and digital marketing, you need to first understand the meaning of marketing. Marketing is a set of strategies that aim at marketing for a brand or a product. Do you know the publicity you see on television? Those materials that are presented as samples of products in the supermarket to be tasted or those free samples of commercial products to try them like perfumes. All of these are examples of traditional marketing strategies. Digital marketing is very similar to traditional marketing, as the goal is also the promotion and marketing of a brand or a product. The difference between them is that digital marketing relates to online marketing and traditional marketing is generally done offline. As an online strategy, you use tools such as websites, blogs, networks, videos as well as applications on cell phones marketed for business. Do you remember those banners that are displayed online all over the place? Or the e-mail you receive and contain the commercial offers or digital book you can download for free? This is an example of digital marketing strategies. The great difference in digital marketing is that through the Internet you can analyze metrics that relate to the outcome of actions at the moment. In offline marketing, you can only get an approximate number of people who saw a street ad commercial ad or on a TV, for example. In digital marketing, you know exactly how many people clicked on your ad, how many people bought your product, the actual number of people who uploaded your digital book and so on. Through these data you can examine different strategies, even correcting an error such as if necessary. Let's say you sent a marketing email to your mailing list, but few people opened this email and read it. When you decide to send this email to new people, you'll be able to change the address, for example, and test if this helps increase the rate at which this email is opened. The great benefit of these tests is that you can increase the conversion rates on the marketing business. These actions are called Conversion Rate Optimization (CRO). Another advantage is that, through the Internet, it's much easier to split ad campaigns into age groups, or to divide by gender, personal interests, and many other characteristics. This increases the incidence of the target in the strategies. You can direct your marketing campaigns to people who have a profile that matches the typical customer profile for your persona. In addition, through the Internet or social media network, you can reach people from all over the world. Digital marketing is a more usable market for entrepreneurs and is suited to business activities on a smaller scale. For example: Paying 30 seconds for TV advertising can be very expensive, while online strategies are often less expensive and sometimes free! If you want to learn more about how to generate free visitors, you should use content marketing, which is one of the most important strategies in digital marketing. Now that you know the benefits of digital marketing, it's time to learn about the communication channels through which you can prepare your marketing strategies. Landing pages or potential customer gain pages. Making the decision to choose these networks depends a lot on the type of business you do. Among the networks we mention YouTube; this leads us to another tool in digital marketing: videos, which are becoming increasingly popular, so that you can prepare ads in the form of videos. Another channel in digital marketing is the e-mail marketing tool, which is based on sending commercial messages via e-mail. You've already received emails of this type, right? Set up a product offer. Request charity or subscriptions in some cases. Delivery of free educational materials. Send useful content and help the company set up a relationship closer to the person targeted by the messages. In the channels of communication there are also paid media, which are online advertisements that pay money to send. There are several types of these ads. The first type that we'll talk about is ads on the display network, which consists of these ad tapes you see online, remember? Another is native ads, which are displayed as if they were a natural element of a page. For example, Ad material that is displayed on a website dedicated to the content of the press as if it were general news, in the news of the website or an image that is displayed on an RSS feed usually appears within the feed news network. Built-in ads always come with a "funded" sign. The advantage of this format is the ability to set up advertising campaigns without adversely affecting the browsing and user experience. In addition, through this type of advertising, it delivers significant content to the typical customer while at the same time being content marketed to the brand or product. The third type is ads in the form of videos, the most common on YouTube for example. The fourth type is the latest version, which is sponsored by ROBOT, also called ads on the search network. When looking for a keyword within Google and notes the results first written on them "ad", these are the sponsor links. If, this is a sponsored link when a company pays money to always appear when someone searches with that keyword, you can also do that for a marketing page that is talking about your business. The link is funded exclusively to a very important concept in digital marketing, and without this concept, no digital marketing strategy can survive. The concept of Search Engine Marketing (SEM), means marketing search engines, and about this tool, we will now talk. Search engine marketing or search marketing will improve the ranking of your pages within search engines such as Google. In the end, the better your pages are in search rankings, the more likely a user will click on your page. One way to do this is through the funded links, which we have just talked about. But there is another way that is called Search Engine Optimization (SEO). SEO is a set of multiple techniques used to improve the ranking of your pages in an organic way, i.e. without paying directly for an ad network. You can set up SEO techniques for your YouTube videos, for your blog posts, for your main site and ultimately without paying directly for an ad network. There are many factors to improve the ranking of content within your pages. So our advice to you is to do a lot of research on SEO to use these techniques in your business. After all this, did you realize the meaning of digital marketing and its usefulness to you? But believe me, there is another important point to remember: marketing goes beyond communication strategies. Every procedure that is useful in preparing and delivering value to your audience and market segment, and at the same time generating profit for you can be considered marketing. So, create a brand, develop your products, pricing, and distribution of these products to market for sales and so on. There is a multitude of strategies in digital marketing. The important thing is to start testing these strategies and give them the momentum for those strategies that bring you more revenue for your business.